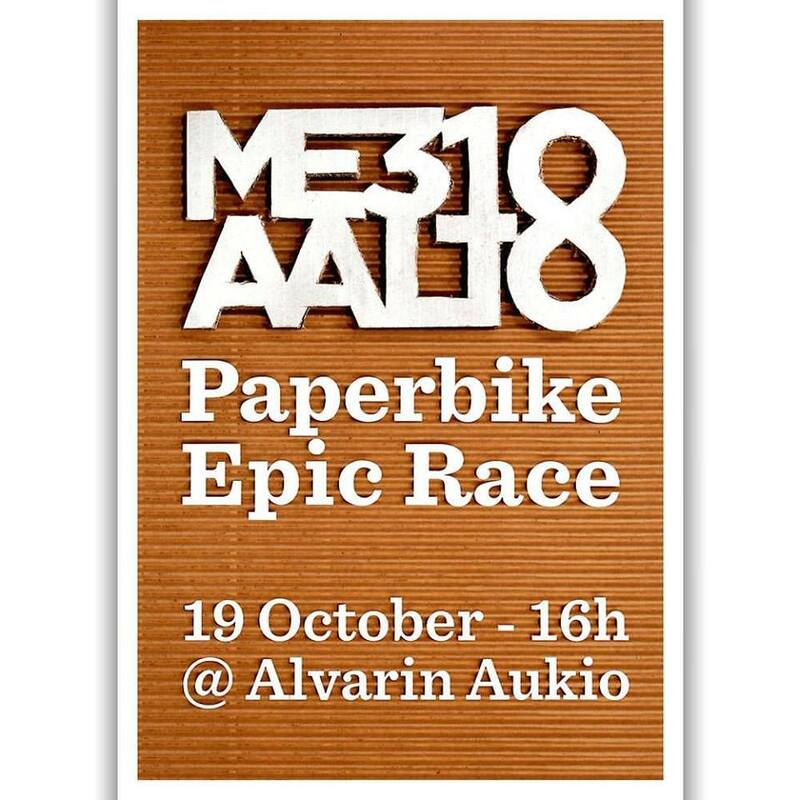 Tomorrow 19th Oct: The annual ME310 Paper Bike Race at 16:00 at Alvarinaukio in Otaniemi | Urban Mill – Building IntenCity! This entry was posted in Aalto University, ADF, Design Factory, From Espoo Innovation Garden, Kumppanit, Kurssit, Opiskelijat, Otaniemi, Tapahtumat, Uutiset and tagged Bikes, Challenges, Cycling, Global Design Innovation course, Kilpailut, ME310, Paper, Paper Bike rally, Race, Student teams by larsmi. Bookmark the permalink.